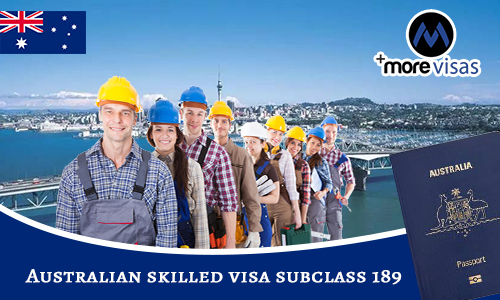 Australian Skilled Independent Visa is the most sought after Visa among the potential candidates across the world. This visa has been intended for those skilled immigrants, who don't have any sponsorship from the state, province, agencies or a relative in Australia. The applicants have to follow the point-based immigration procedure to obtain this visa, in which their skills, experience, and profile scores play an important roles. The visa holder of Australia Skilled Independent Visa (Subclass 189) can easily acquire Permanent Residence of Australia along with his or her family members. To apply for this visa, the applicant must select an occupation from the Skilled Occupation List of Australia. First, the candidate has to submit an application for Expression of Interest (EOI). If the profile of the applicant has been selected, he or she would get the Invitation to apply for the visa within two months. The applicant has to select an occupation that must be listed on the skilled occupation list of Australia. The applicant must score a minimum of 60 points in the point-based immigration system. This depends on his or her age, experience, educational qualification and English proficiency. The age of the applicant must be less than 50 years. The applicant must have skills assessment certification from a certified assessing authority. The applicant has to provide his IELTS score card as evidence of his or her English proficiency. The applicant has to submit an Expression of Interest application. The applicant must meet the health and character requirements. Once the applicant receives the visa, he or she can reside and work in Australia indefinitely. The applicant can pursue any full-time course in Australia at any level whether it is high school, graduate, post-graduate or professional instruction at local resident rates. The applicant can avail the government’s subsidized health care facilities. In the future, the candidate can apply for Australian citizenship if he or she wants to settle there. The applicant can sponsor a relative and help them procure a temporary or permanent residency in Australia. If you are interested to migrate, please fill our Enquiry Form, so we will approach you to assist. And more immigration updates follow us at Facebook, Google+ and LinkedIn.